The New Mexico Biotechnology and Biomedical Association (NMBio) is pleased to announce the awarding of the 2014 Scholarship for students in biotechnology or biomedicine. Nathan L’Esperance from Roberston High School in Las Vegas, NM is this year’s winner and has received a check for $1,000. Nathan says “my dream is to become a biomedical engineer. I would like to create a new form of medicine that would allow cancer patients to keep their hair during chemotherapy.” Nathan feels that becoming a biomedical engineer will allow him to take pride in his work and do something he enjoys. Our congratulations and good wishes go to Nathan as he begins his studies at the University of New Mexico. NMBio provides this scholarship annually to encourage and support interest in careers in biotechnology. 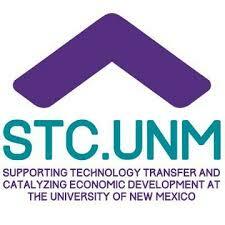 Our organization represents biotechnology and biomedical businesses in New Mexico as well as academic organizations and other supporting organizations.